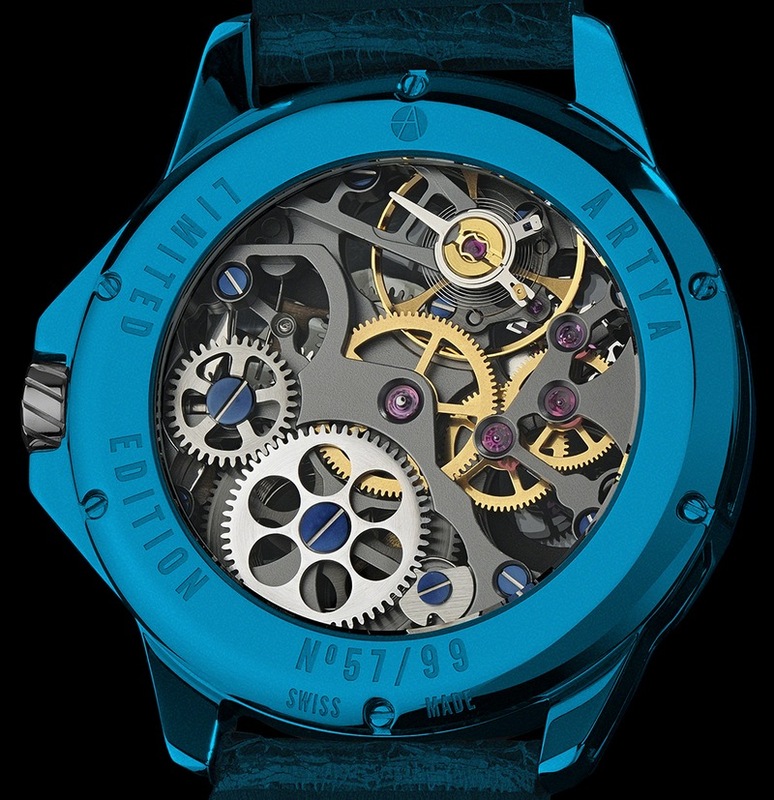 If you are in the market for a very very blue limited edition timepiece, we’ve got one for you. 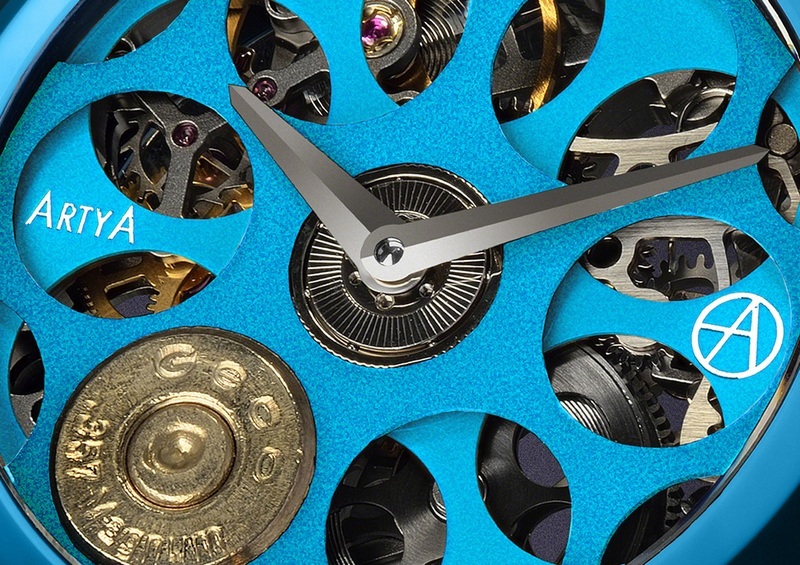 The ArtyA Son Of A Gun Russian Roulette Blue Blood, as the name suggest it is inspired by the game of Russian Roulette. 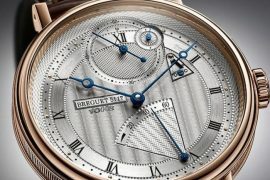 The beautiful timepiece is designed to perfectly capture the risky game and sports a six-chambered cylinder on the fast spinning dial and a real used bullet “loaded” into one of the chambers. 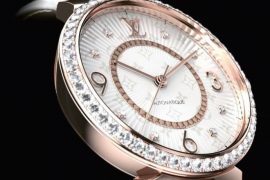 The entire skeletonized dial offers a stunning visual effect. 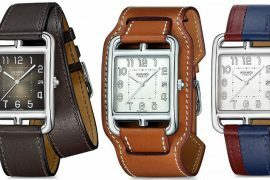 The 316L stainless steel 44mm case with blue PVD treatment also feature an engraved and screwed back case, and a double anti-reflective coating applied sapphire crystal on the front. 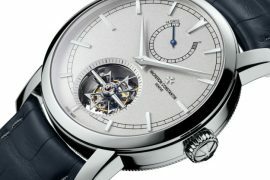 Workings of the movement are visible through the open sapphire back. 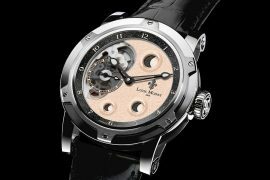 Just like their other gun-themed models, this version is powered by manual ARR Skeletonized movement that offers hour and minute functions and 52 hours of power reserve. 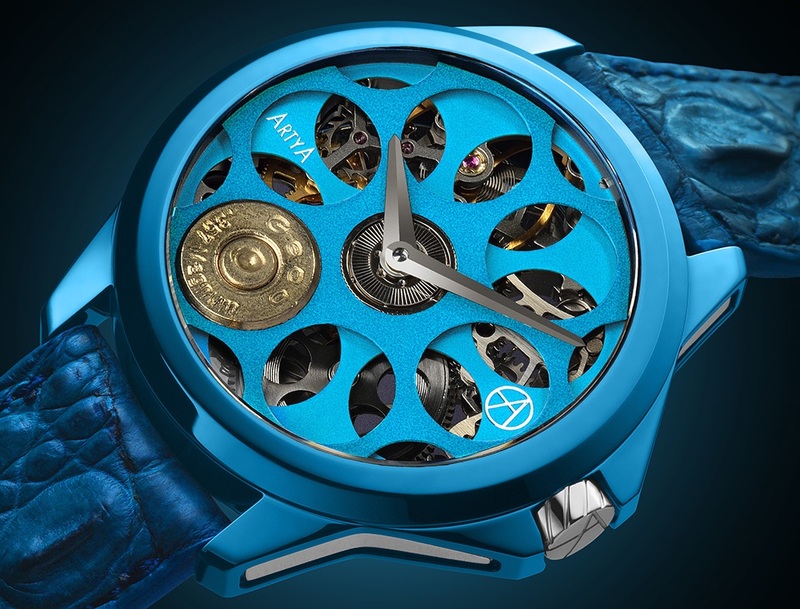 For a unique luxury timepiece, the ArtyA Son Of A Gun Russian Roulette Blue Blood comes with an affordable price tag at CHF 9,900 (about $10,100). This is a limited edition of just 99 pieces if you want to snag one head over to ArtyA’s online store here.